This October the hunt is on ! 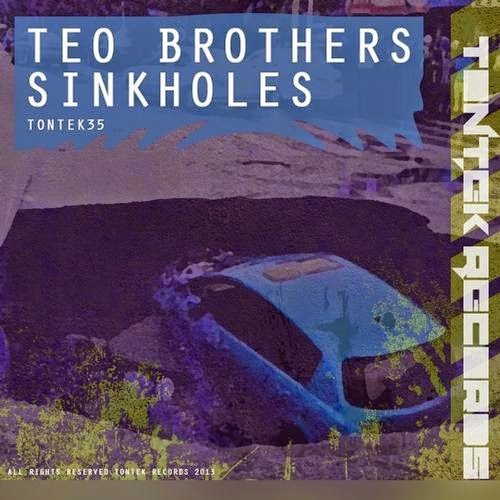 Straight out of Amsterdam, Tontek brings you the Sinkholes EP by the Teo Brothers. The Teo Brothers have previously released tracks on other labels over the years. This EP is loaded with lots of great remixes by: Alexander Kvitta, i1 Ambivalent, R. Gomez, Bojan Kojic, RickRocks, Tino Kluge, Balkonkind, and Julian Jr as well as 2 original tracks by the Teo Brothers. Be sure to add this weapon to your arsenal!